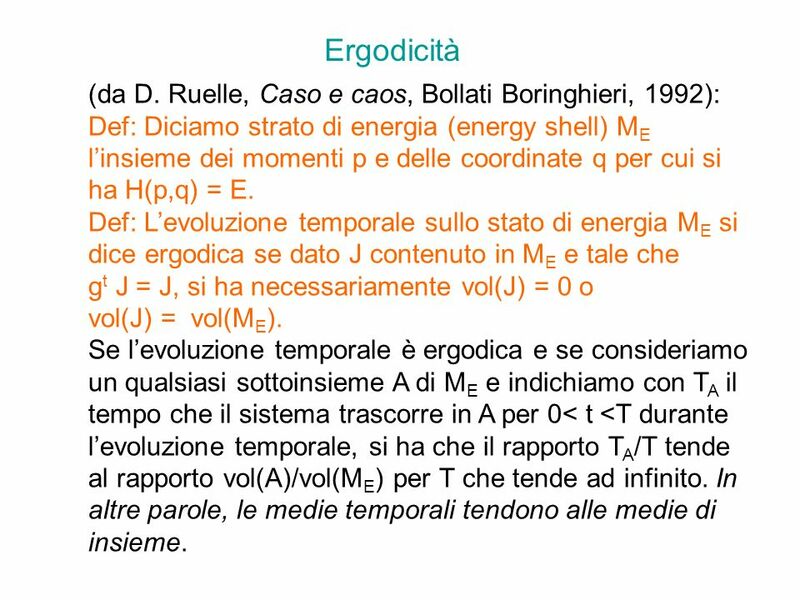 Def: Diciamo strato di energia (energy shell) ME l’insieme dei momenti p e delle coordinate q per cui si ha H(p,q) = E. Def: L’evoluzione temporale sullo stato di energia ME si dice ergodica se dato J contenuto in ME e tale che gt J = J, si ha necessariamente vol(J) = 0 o vol(J) = vol(ME). 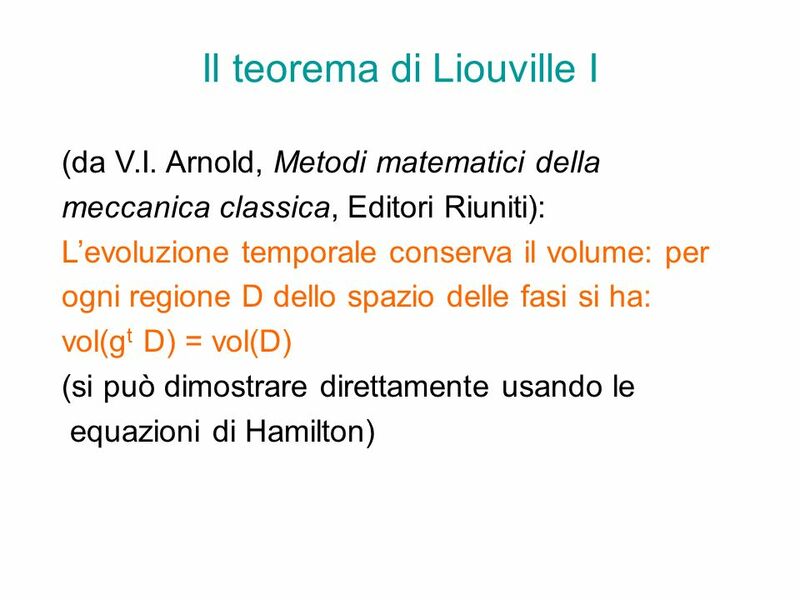 Se l’evoluzione temporale è ergodica e se consideriamo un qualsiasi sottoinsieme A di ME e indichiamo con TA il tempo che il sistema trascorre in A per 0< t <T durante l’evoluzione temporale, si ha che il rapporto TA/T tende al rapporto vol(A)/vol(ME) per T che tende ad infinito. In altre parole, le medie temporali tendono alle medie di insieme. 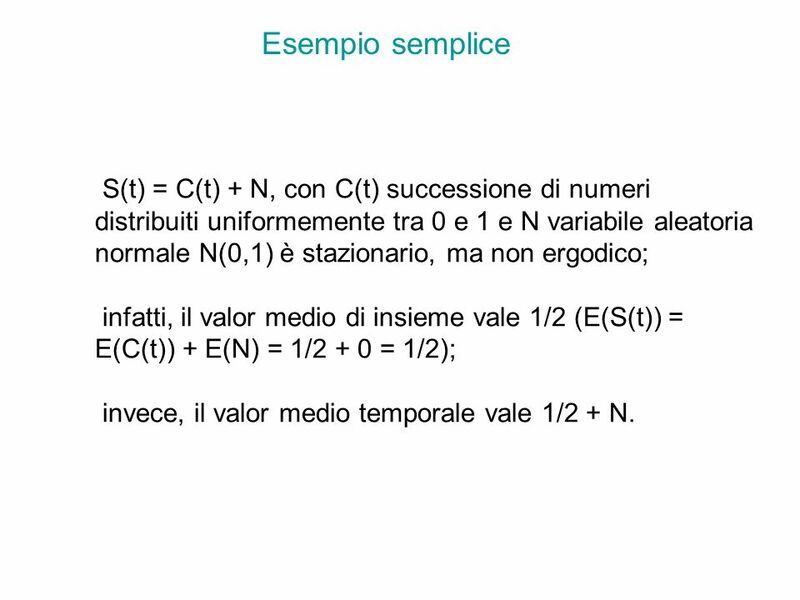 9 Esempio semplice S(t) = C(t) + N, con C(t) successione di numeri distribuiti uniformemente tra 0 e 1 e N variabile aleatoria normale N(0,1) è stazionario, ma non ergodico; infatti, il valor medio di insieme vale 1/2 (E(S(t)) = E(C(t)) + E(N) = 1/2 + 0 = 1/2); invece, il valor medio temporale vale 1/2 + N.
Date: Mon, 1 Nov :03: (EDT) From: allin cottrell Re: ergodicity To: Jim Devine's question: Explain the terms 'ergodic' and 'non-ergodic' in terms of the errors in econometric equations. 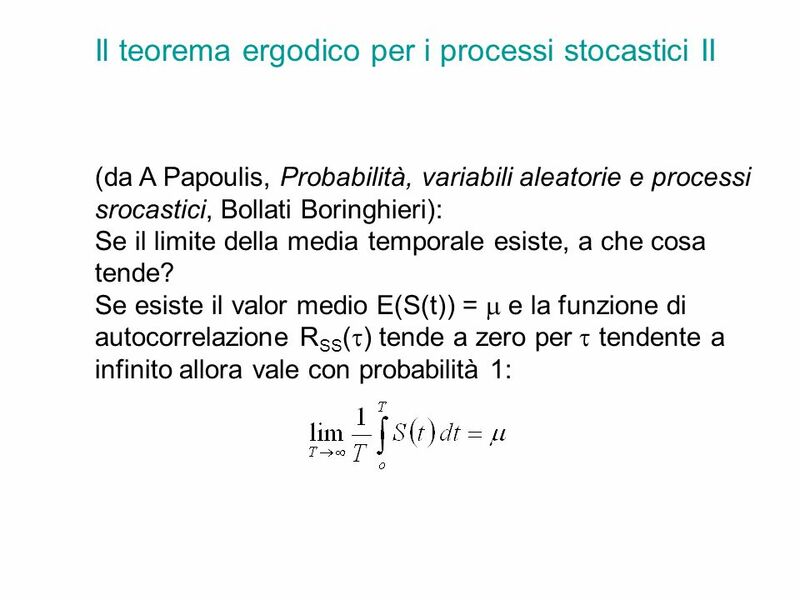 Answer: If the process under examination is non-ergodic, then econometric equations are in error! 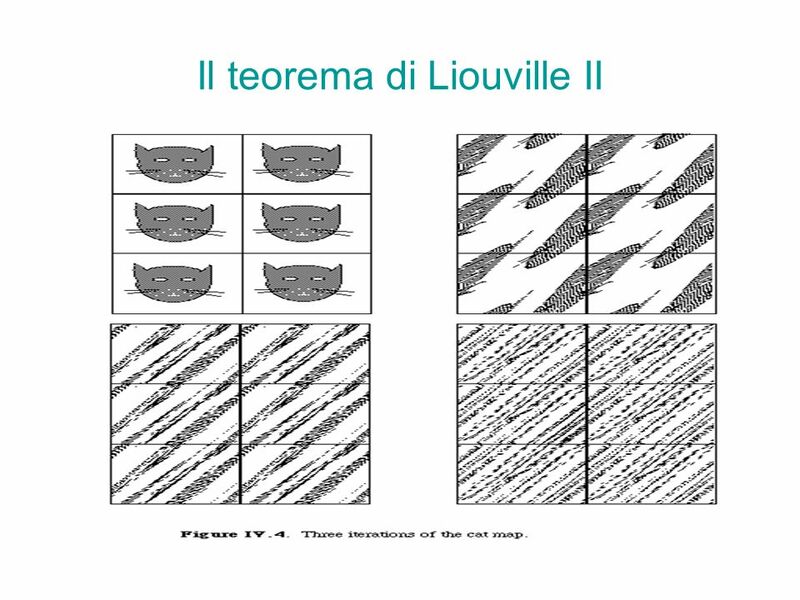 Explanation: In all econometric work, one is assuming that the time-series behavior of the variables of interest gives us a handle on the nature of the statistical processes according to which those variables are generated. 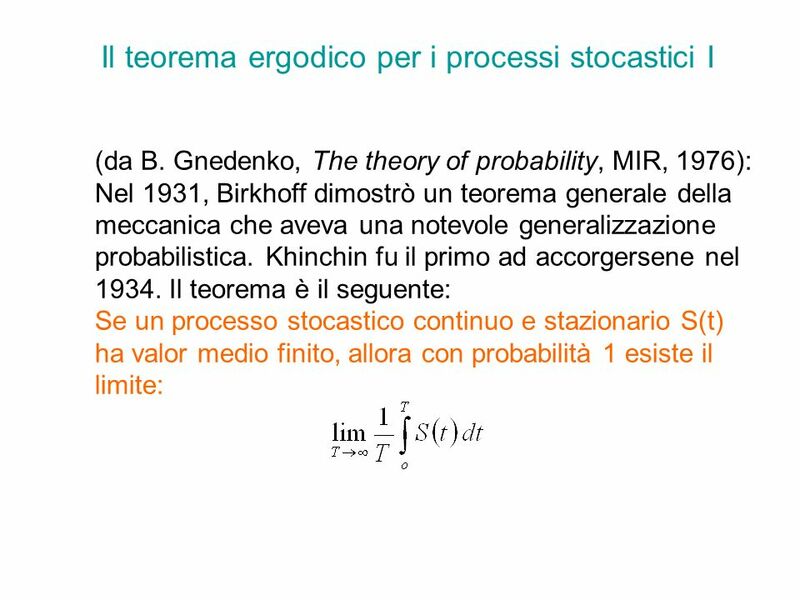 For instance, one estimates C(t) = a + bY(t) + u(t), on the assumption that the variance (across time) of the residual from this equation provides an estimate of the variance of the distribution from which the error u(t) is drawn, each period. This, as I understand it, is the assumption of ergodicity. 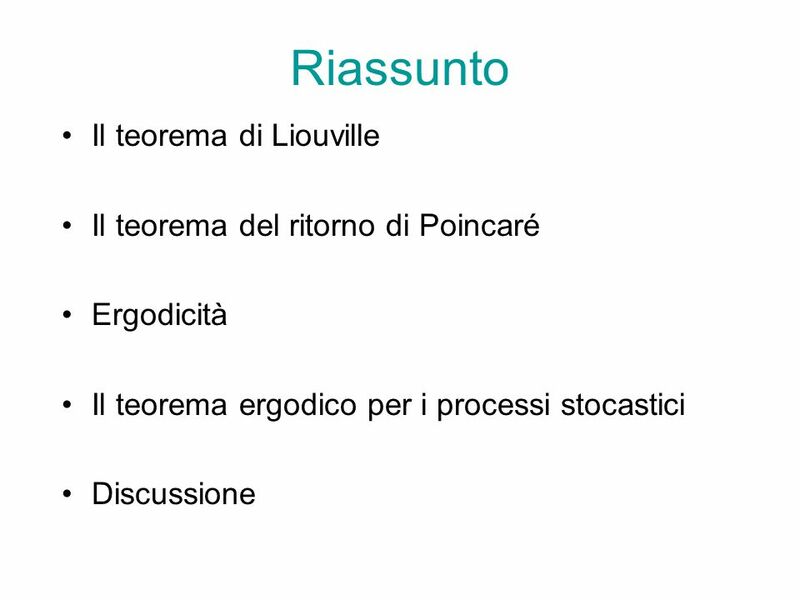 But if aggregate consumption is non-ergodic, the observed past values of the residual from an equation such as the above do not tell us anything about the statistical process generating the consumption data in each period. Comment: It seems to me that the claim that economic processes are non-ergodic borders on nihilism. 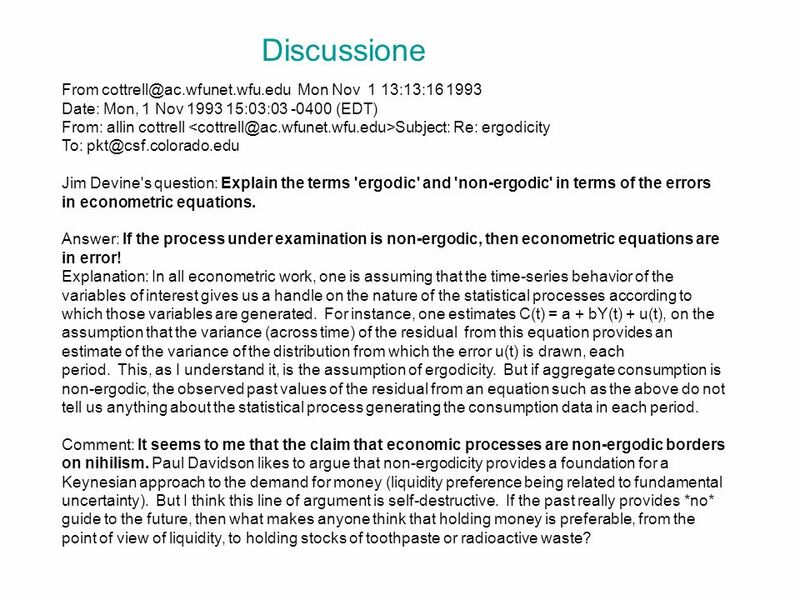 Paul Davidson likes to argue that non-ergodicity provides a foundation for a Keynesian approach to the demand for money (liquidity preference being related to fundamental uncertainty). But I think this line of argument is self-destructive. If the past really provides *no* guide to the future, then what makes anyone think that holding money is preferable, from the point of view of liquidity, to holding stocks of toothpaste or radioactive waste? 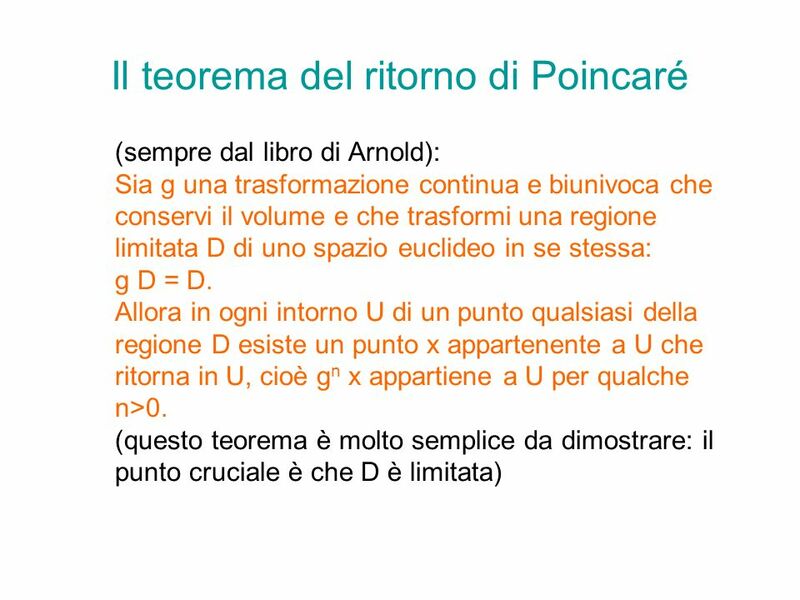 Scaricare ppt "Cenni di teoria ergodica"
Corsi di allenamento 2013 Congetturare e dimostrare.